Editor’s Note: This article was first published by the Environmental Defense Fund, an organization focusing on creating economical policies to support clean air and water; abundant fish and wildlife; and a stable climate. The article was authored by economist Scott Weaver and originally appeared here. 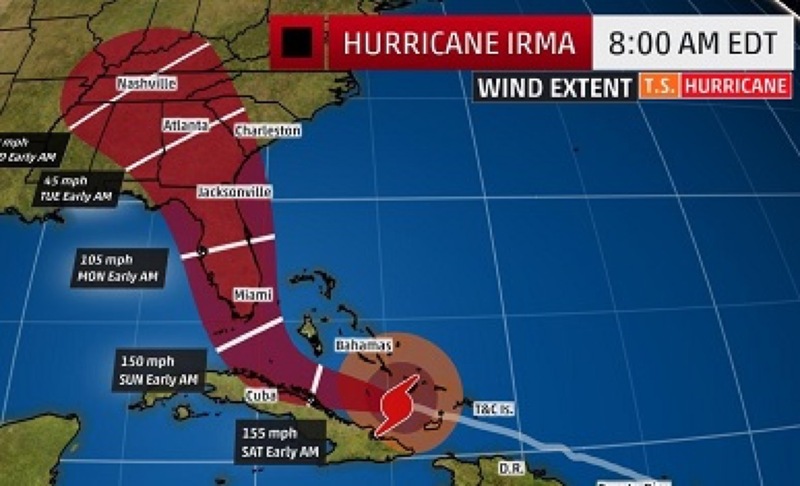 I watched with concern and awe at the power of Hurricane Irma as the storm battered the Caribbean with 150 mph winds and then hit Florida as a category 4. It was the first time that two hurricanes of such a magnitude have made landfall in continental United States during a single hurricane season. This, in and of itself, is astonishing – but Irma also happened to be a storm unlike anything we’ve ever seen. It’s as if Earth was running a controlled scientific experiment to isolate the relationship between warming of the Atlantic Ocean temperatures and hurricane intensity – with the goal of showing us, with terrifying detail, what happens when rising global temperatures fuel powerful storms. What can that tell us about future Atlantic hurricanes?